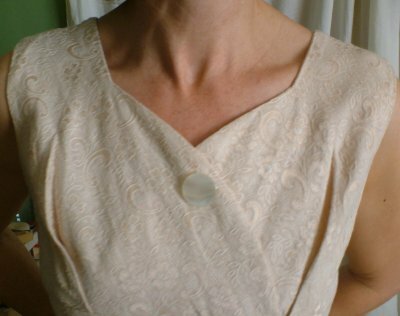 Vintage 50s creamy fitted dress with bolero. 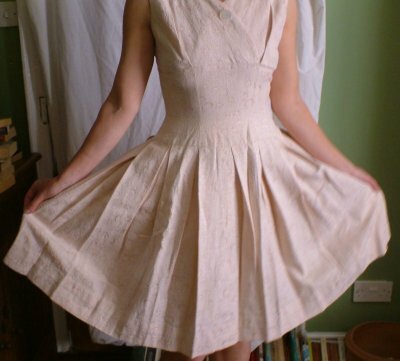 Elegant and delightfully demure, very fitted sleeveless dress with scooped back and full skirt, made from a thick, textured, pinky-creamy fabric. The neckline has crossover detail, and is embellished with a button. 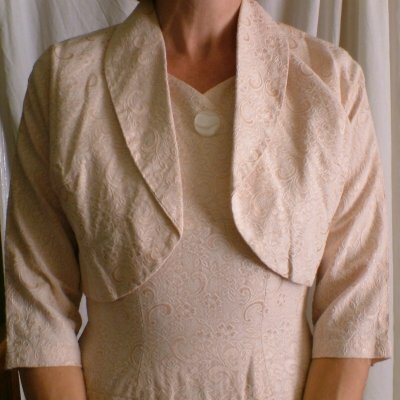 The matching bolero has a curved collar and elbow-length sleeves. This is a special suit for a special occasion - but just knowing it is in your wardrobe will enhance your life! With this suit, a pair of gloves and a string of pearls, you could attend the wedding of the year, or a Royal Garden Party! 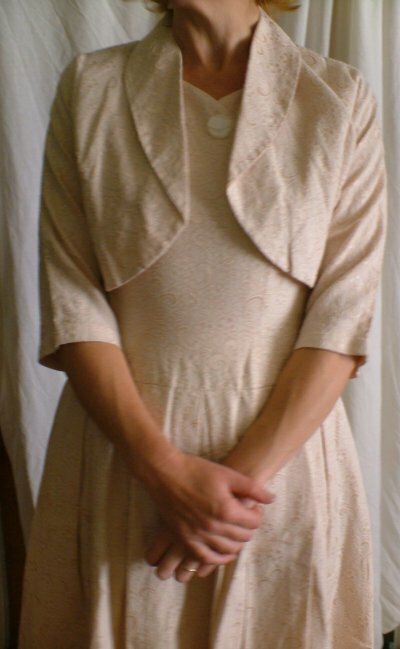 It's in perfect vintage condition - hardly worn, if at all - and approximate measurements are bust (measured under the arms), 36 ins/91.5 cms; waist, 28 ins/71 cms, length from back of neck, 38 ins/96.5 cms.